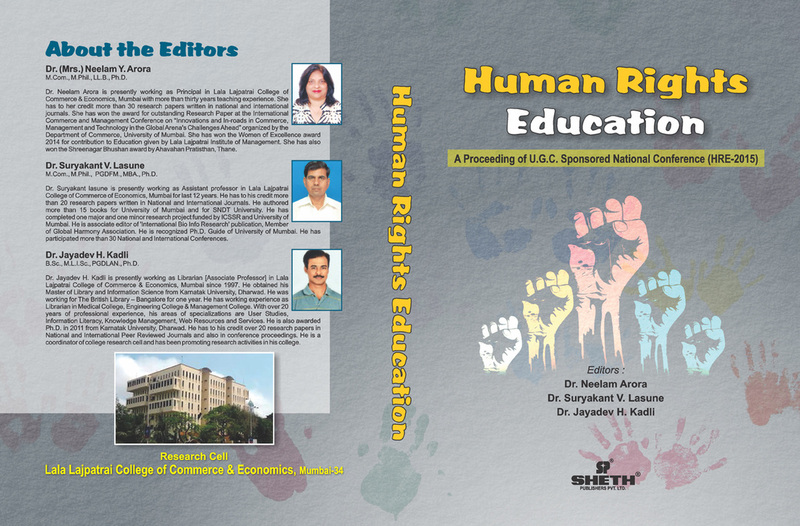 ​​A Proceeding of UGC Sponsored National Seminar (ICHR-2016) edited by Dr.Neelam Arora, Dr.Jayadev H. Kadli, Dr.S.V. Lasune. [Mark Publishers - Jaipur, 2016, ISBN: 978-93-82159-86-5​] in two volumes.